N 12° 38' 59" and W -8° 0' 0"
Safety Score: 4,6 of 5.0 based on data from 9 authorites. Meaning it is not safe to travel Mali. Bamako in Bamako Region with it's 1,297,281 habitants is located in Mali. It's the capital of this country. Current time in Bamako is now 07:23 PM (Monday). The local timezone is named Africa / Bamako with an UTC offset of zero hours. We know of 7 airports close to Bamako. The closest airport in Mali is Senou Airport in a distance of 9 mi (or 14 km), South-East. Besides the airports, there are other travel options available (check left side). While being here, you might want to pay a visit to some of the following locations: Kati, Koulikoro, Figuira-Toma, Kangaba and Kolokani. To further explore this place, just scroll down and browse the available info. Let's start with some photos from the area. 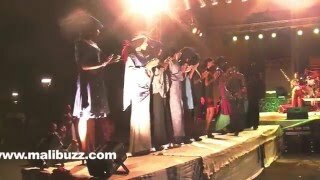 http://www.maliweb.net/ - maliweb.net - Actualités maliennes - Nouvelles du Mali. 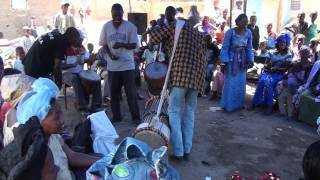 Video of a wedding in Bamako on February 20, 2011. Bamako is the capital and largest city of Mali, with a population of 1.8 million (2009 Census, provisional). In 2006, it was estimated to be the fastest growing city in Africa and sixth fastest in the world. It is located on the Niger River, near the rapids that divide the upper and middle Niger valleys in the southwestern part of the country. Bamako is the nation's administrative center. The city proper is a cercle in its own right. Located at 12.65, -8 (Lat. / Lng. ), about 0 miles away. 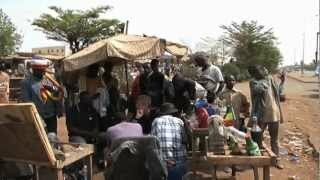 Stade du 26 Mars is located in the southern neighborhoods of Bamako, Mali. It serves as a home ground for domestic football club Stade Malien and is the national stadium. It has a capacity of 55,000 as an all-seater stadium. Built in 2001, it is named for the date of Martyrs' Day (Mali): a national commemoration of the 26 March 1991 Bamako uprising which overthrew the dictatorship of Moussa Traoré. Located at 12.6044, -7.92167 (Lat. / Lng. ), about 6 miles away. The National Museum of Malí (French: Musée national du Mali) is an archaeological and anthropological museum located in Bamako, the capital of Mali. It presents permanent and temporary exhibits on the history of Mali, as well as the musical instruments, dress, and ritual objects associated with Mali's various ethnic groups. Located at 12.6586, -7.9993 (Lat. / Lng. ), about 1 miles away. The National Library of Mali (French: Direction nationale des Bibliothèques et de la Documentation) is a public library located in Bamako, Mali. The National Library was first created by the Institut Français d’Afrique Noire, an arm of the French colonial government, in 1944. Following Mali's 1960 independence, this library became the Government Library; it would later be renamed again as the National Library of Mali. Located at 12.6325, -8.01528 (Lat. / Lng. ), about 2 miles away. Bamako Senou International Airport is Mali's main airport approximately 15 km south of downtown Bamako, the capital of Mali in West Africa. It is managed by Aéroports du Mali (ADM). Its operations are overseen by the Malian Ministry of Equipment and Transports. Located at 12.5378, -7.94306 (Lat. / Lng. ), about 9 miles away. Stade Modibo Keïta is a multi-purpose stadium in Bamako, Mali. It is currently used mostly for football matches, serving as a home ground for AS Real Bamako and, occasionally, the national team. The stadium holds 35,000 people and is named after President Modibo Keïta. Located at 12.6597, -7.99306 (Lat. / Lng. ), about 1 miles away. The BCEAO Tower (fr. Tour de la BCEAO) in Bamako, Mali, at 20 stories is the tallest building in the West African nation. It sits of the north ("right→") bank of the Niger River in the city center of Bamako. Classified as Neo-Sudanic architecture, the tower is modeled on the Sudano-Sahelian architecture of the famous Mosques of Djenné and Timbuktu. Located at 12.6327, -7.9985 (Lat. / Lng. ), about 1 miles away. Bamako Grand Mosque is a mosque in the city centre of Bamako, Mali. Built on the site of a pre-colonial mud-brick mosque, the current Mosque was built through funding from the Saudi Arabian government at the end of the 1970s. One of the tallest structures in Bamako, the Mosque is situated north of the Niger River near the central Market (Grand Marche) and the colonial era Bamako Cathedral. Located at 12.6469, -7.99306 (Lat. / Lng. ), about 1 miles away. The King Fahd Bridge' (Pont roi fahd) of Bamako Mali connects the older sections of the Malian capital to its broad suburbs on the south shore of the Niger River. One of two road bridges across the Niger at Bamako, it is also known as the "New Bridge". Opened in 1992 with funding from the Saudi Fund for Development, it was named for Fahd of Saudi Arabia. 500 meters downstream (east) lies Bamako's first bridge, built in 1957 under French Colonial rule, renamed the Martyrs Bridge. Located at 12.6236, -8.00478 (Lat. / Lng. ), about 2 miles away. The Martyrs Bridge (Pont des martyrs) of Bamako Mali connects the older sections of the Malian capital to its broad suburbs on the south shore of the Niger River. One of two road bridges across the Niger at Bamako, it is also known as the "Old Bridge". Opened in 1957 when Mali was under French Colonial rule it was renamed the Martyrs Bridge after independence in 1961. Martyrs Bridge connects two of the main avenues of the city. Located at 12.6303, -7.99194 (Lat. / Lng. ), about 1 miles away. 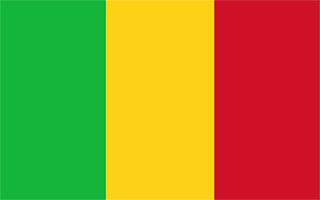 Korofina is a town in Mali, close enough to the capital Bamako to be a suburb. Located at 12.6719, -7.93 (Lat. / Lng. ), about 5 miles away. The 2012 Malian coup d'état began on 21 March, when mutinying Malian soldiers, displeased with the management of the Tuareg rebellion, attacked several locations in the capital Bamako, including the presidential palace, state television, and military barracks. 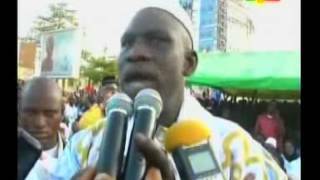 The soldiers, who said they had formed the National Committee for the Restoration of Democracy and State, declared the following day that they had overthrown the government of Amadou Toumani Touré, forcing him into hiding. These districts belong to Bamako. These are districts that are close by, but belong to a different city than Bamako. 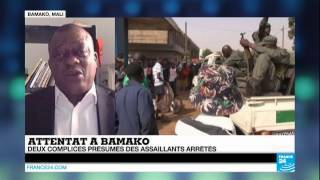 These are some bigger and more relevant cities in the wider vivinity of Bamako. These are the most popular locations in Mali on Tripmondo.